Hasbro sent out this amazing page-a-day Star Wars calendar to help us countdown to the release of new Star Wars: The Force Awakens product on “Force Friday” on September 4th. 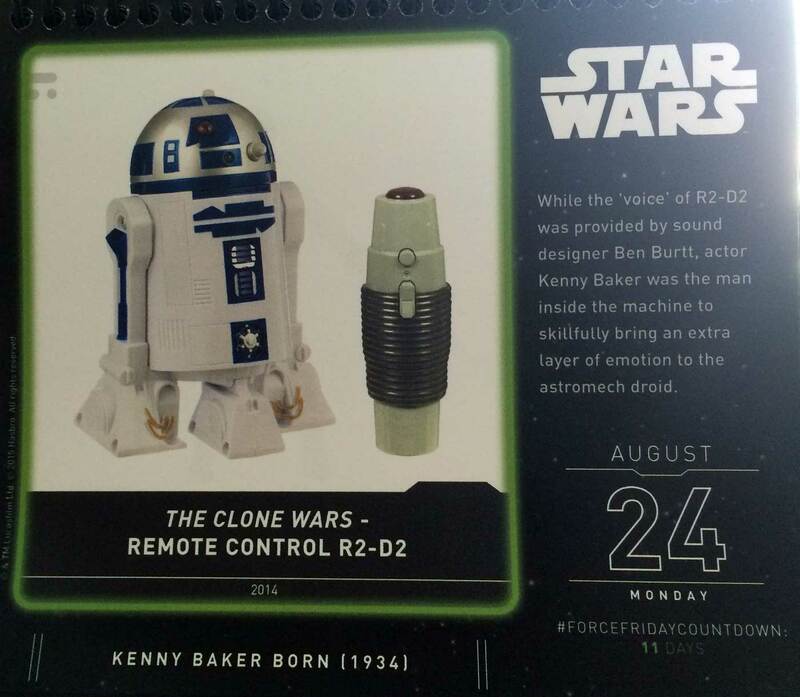 Today we are a mere 11 days away from Force Friday and the toys of the day is the Clone Wars remote controlled R2-D2 in celebration of Kenny Baker’s birthday. As a kid I loved my vintage Kenner remote controlled R2 and used it as the stand in R2 with my 12″ Kenner figures. This was a great update to that figure and I love that the remote looked like the comlink from A New Hope.